Trevor Henry — Art director, photographer and interface designer from Toronto, Canada. 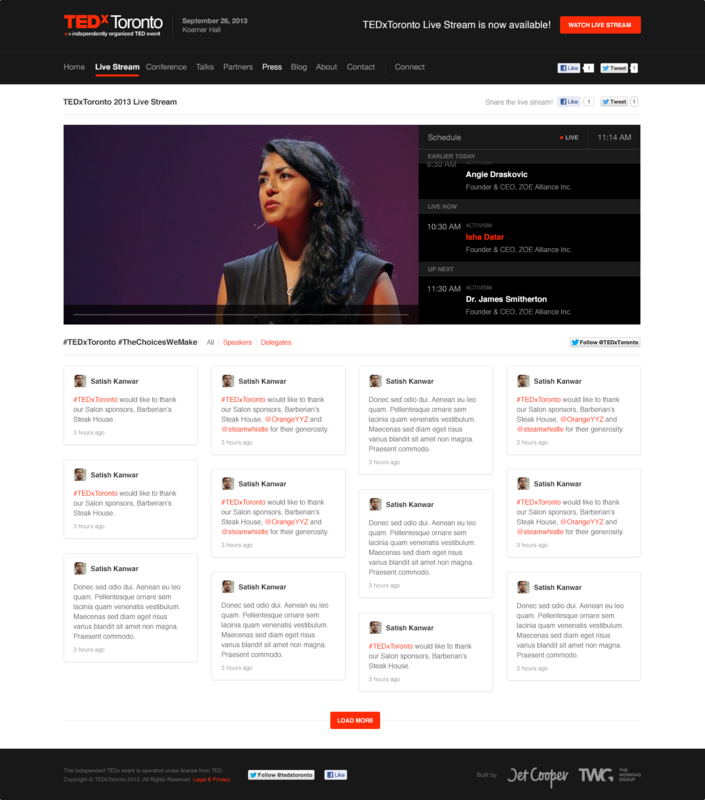 TED is a non-profit organization devoted to Ideas Worth Spreading. Started as a four-day conference in California in 1984, TED has grown to support those world-changing ideas with multiple initiatives. 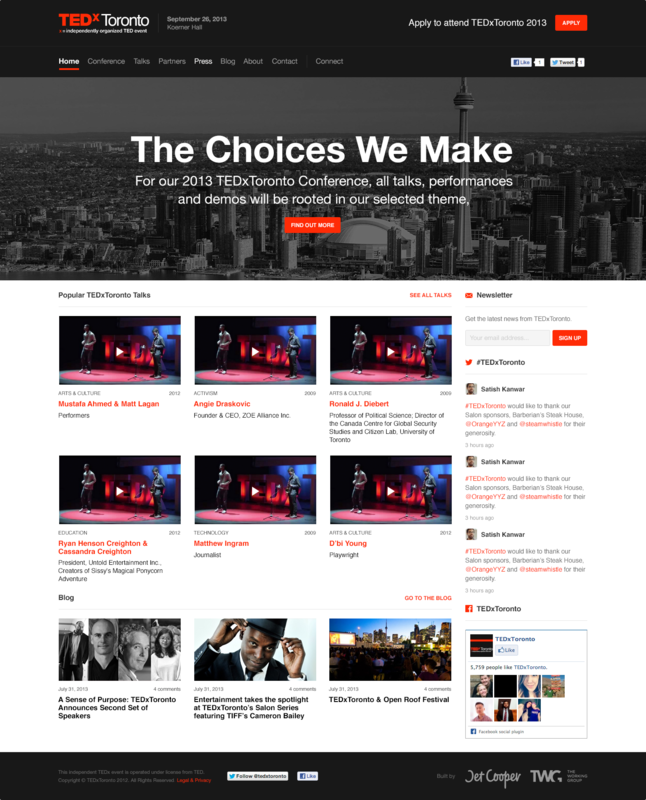 TEDxToronto is one of the largest TEDx events in the world, and while it must continue to facilitate current and upcoming conferences, it must also serve as a home for the impressive library of inspirational talks it has garnered from past events. Finding a balance between these two requirements played an important factor in the the way we laid out every element of the site. In the interest of future site maintenance and scalability all areas of the site were designed in as modular of a fashion as was possible. 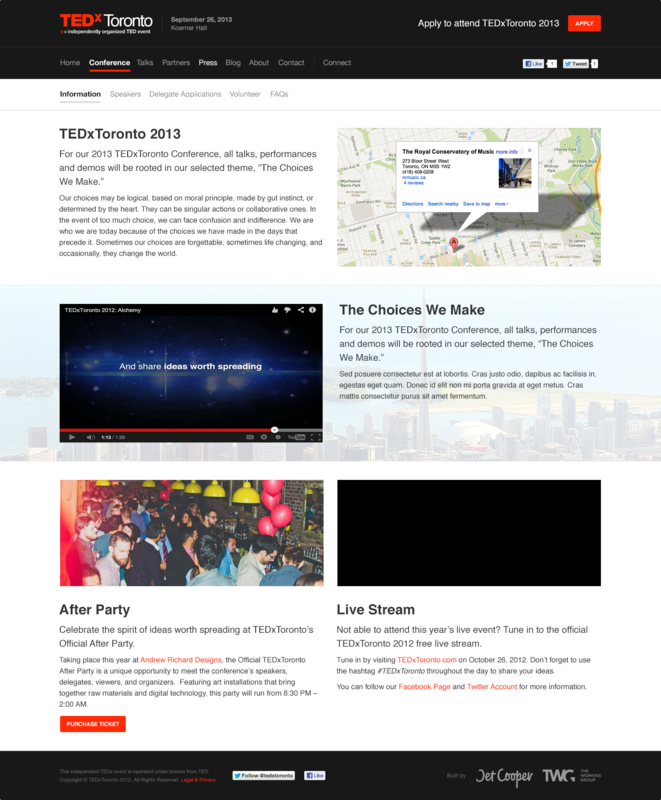 The speakers list is one of the most heavily trafficked areas of the site, as every time TEDxToronto announced a new group of speakers they’d receive traffic from dozens of blogs and social media sources. 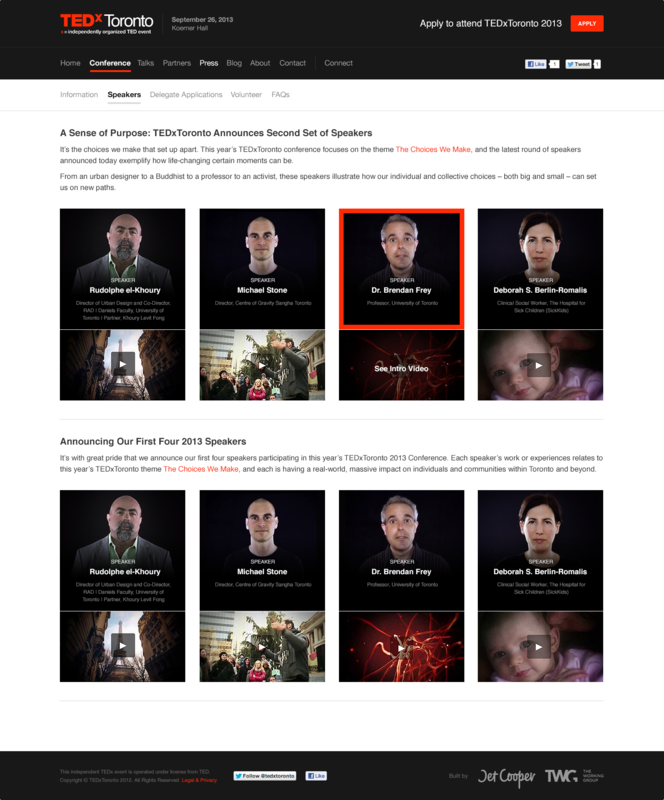 We also wanted to convey the presence of a short and powerful video that was coupled with each speaker. One feature that did not end up being fully-realised was the “day-of experience”, which was essentially meant to be the home of the livestream and high-level view of social media happenings. This livestream was available for free to anyone who wished to take in the talks of the day, since seating at the actual event was unfortunately limited to the size of the venue. © 2014 Trevor Henry – All rights reserved.